There’s something about summer that makes even die-hard neutral-lovers want to inject some color into their looks. Whether it’s the balmy temperatures or sunny skies, we’re suddenly inspired to wear bright floral prints, vibrant swimsuits and yes, colored denim. Colored denim is an instant summer upgrade that typically involves no styling tweaks. 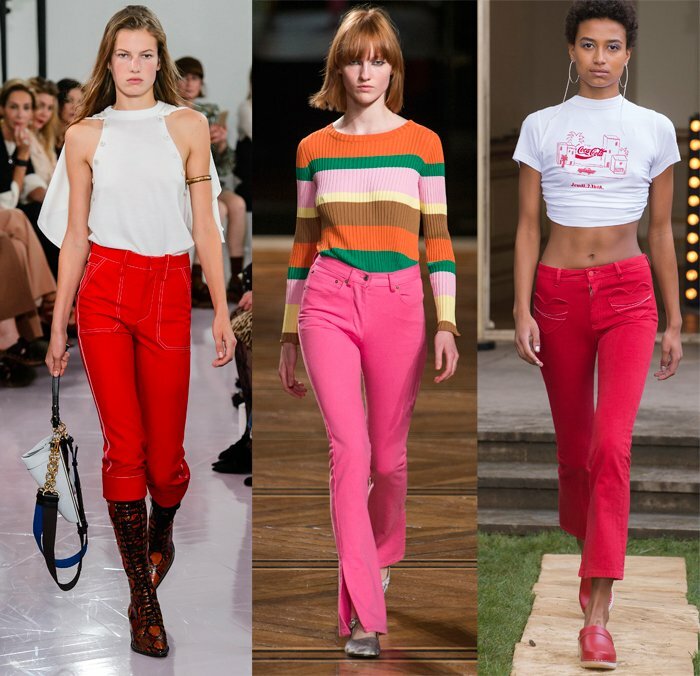 We’re not saying you need to abandon your trusty blue jeans, but why not have fun with red, yellow or even pastel pink denim? Colored denim shorts are a great option for sweltering days, same goes for colored denim skirts and dresses. When the sun goes down and the temperature gets a bit cooler, top a look with a colorful denim jacket. Even better, you can wear your colored denim straight into fall just by adding a few extra layers. Read on for 22 colored denim pieces that will bring some happiness to your wardrobe and provide tons of styling options.